In the current trends of search engine optimization, the importance of social media strategies is increasing. Online marketing today is hard to succeed without social media. 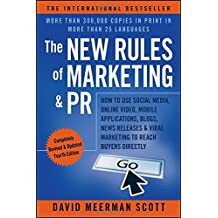 So, in regard to this significance, I have listed below some best books on social media marketing for 2019. If you are looking for the winning factors in today’s marketing challenges, you’ll find 3 pillars of SEO for building a solid internet marketing foundation. They are content, links and social media. High quality content is a must for your site. Optimize your content for your audience and make them sharable and linkable. Secondly, inbound links are the important signals for Google SERP ranking. Build quality backlinks for your pages to rank higher in Google and to drive more traffic. And now more and more SEOs are now targeting social media sites to acquire targeted traffic and high Google ranking. Social shares, likes, tweets, and posts on social media sites – these social signals are the SERP ranking influencers to search engines. Promote your brand, products and services through social media. The following books are highly recommended top social media books. When selecting, I tried to include the latest and best books published for 2019. But I have also included the updated best books published in 2018 and earlier. Most of these books are available both in Amazon Kindle and Paperback format. Buy and enjoy reading for marketing success. To buy and know more about the books and their reviews, click on the title of the books. Books by Jason McDonald are unique. They include worksheets for the strategies you actually need to do. 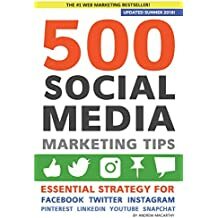 This updated book for 2018 includes Instagram, plus revisions on LinkedIn, video trainings, PDF worksheets, step-by-step social media marketing techniques, teachings on important social media networking sites like Facebook, Twitter, Youtube, LinkedIn, Pinterest, Yelp, Google Local etc. All small and large businesses can take benefits from this latest book and get free marketing opportunities with social media. The author teaches you valuable social marketing techniques, step-by-step guides, posting strategies, free social media tools, worksheets and video lessons. Highly recommended book for those who want to leverage their businesses! Learn how to build an audience and keep them engaged, how to grow your brand and pitch the favorite companies as an influencer, and how to make money with your influence. One of the best books for those who want to become an influencer and monetize their influence. 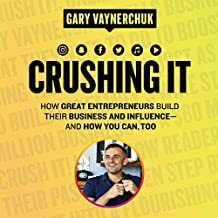 Gary Vaynerchuk is the four times New York Times bestselling author. In this book, the author teaches you the lessons and experiences learnt from many top influencers and entrepreneurs to build businesses and extraordinary brands. Learn the unique perspective and timeless principles in this book and grow your business. 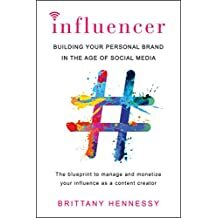 Amplify your personal brand on Twitter, Facebook, Youtube, Pinterest, Instagram, Snapchat, Spotify, Soundcloud, iHeartRadio, Musical.ly etc using the author’s innovative tips and clever tricks. 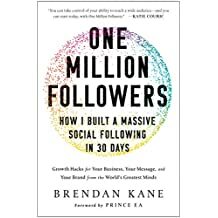 The book is about creating one million followers from the author’s experiences, and you too can do the same within 30 days or less. The author helped brands like MTV, Skechers, Vice and IKEA to establish and grow their audience and engagement. His secret is inside this book. Learn how to gain online following from scratch, how to create unique and valuable content and how to build a multi-media brand on Facebook, Instragram, LinkedIn, Youtube and Snapchat. One of the best guide to build huge followers quickly and increase your business! If you want to win on Facebook, Instagram, Youtube and other social media platforms, this book is also for you. Learn to grow your business step-by-step to the next level with the valuable tips and tricks in this book. This is the latest edition of the famous book that almost any person in social media marketing might read. Again, this book is one of the best books teaching you to drive your brand awareness, attract more customers, achieve your business goals like increasing traffic and sales. You’ll learn actionable strategies on Facebook, Twitter, Youtube, Instagram, Pinterest, Snapchat, etc. Full of tips and advice for social media success! 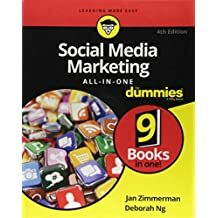 This new entrant in our best social media books covers the topics on many social media platforms like Facebook, Youtube, Instagram, Twitter, Pinterest, LinkedIn, Snapchat, Reddit, Tumblr, Quora, Goodreads and Periscope. A good read for multi-channel marketing strategies of social media! Social media becomes a marketing target for businesses, and this book teaches you how to revolutionize your business and brand to the right people through social media platforms. 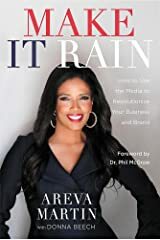 Any business executive, book authors, small business owners or any organization can get immense benefits from the book to increase visibility and influence on social media sites. 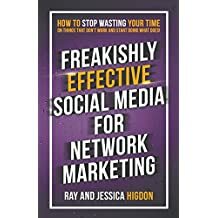 In this new book, the authors teaches you proven tactics for network marketing success using social media channels. You’ll learn social media techniques including, types of social media posts to focus and things not to share, things to include and not to include in your profile, four steps to create effective Facebook lives, how to approach someone successfully, how to follow up people disappeared, how to correct your wrong ways done and much more. Highly recommended for network marketers! Now, almost everyone of us is aware of social media. Millions of people are enjoying with their social media accounts at Facebook, Twitter and others. 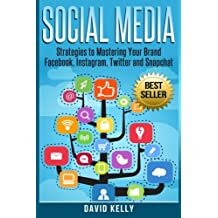 In this new book, David Kelly explains how to monetize from social media platforms. The author reveals techniques to rapidly increase followers and effective strategies to maximize your presence at social media sites. 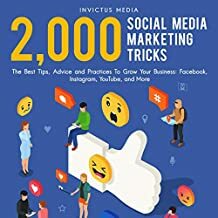 Learn lots of social media marketing ideas from this book. by Jan Zimmerman and Deborah Ng Dummies books are easy to read and informative. 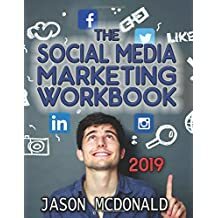 This new book includes latest changes in social media, expert guidance, latest tactics, measuring your efforts, and much more. A must-read book for all internet marketers! Another Amazon bestseller! 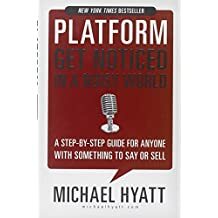 The author Michael Hyatt reveals the best secrets for building and expanding business on social media platforms from the world’s best selling authors, public speakers, entrepreneurs etc. According to the author, to get a success in today’s market, you need two strategic assets – a compelling product and a meaningful platform. Michael Hyatt boasts of having more than 100,000 Twitter followers and of successful blogging. Read the book and discover how the author uses the techniques for monetizing on social platform. 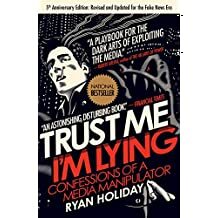 Read this book and learn the top secrets of social marketing from Ryan Holiday. The author is a media manipulator. Learn how your marketing campaigns can spread like a virus in this bestselling book. Another must-read book! Social media marketing is fun, but it is not so easy as you might think. In today’s online marketing strategies, social media become unavoidable. They can connect your customers and converse with them online. The author provides tested procedures, tips and tricks you can apply for your success. This step by step guide book has valuable teachings for online entrepreneurs to marketing executives. 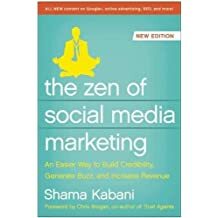 This book is one of the top social media books you shouldn’t miss. 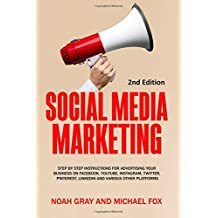 This is the 4th edition of the book updated with the latest social media and marketing trends, tools, and real-world examples of marketing success. Increase your visibility and sales with this highly recommended book. In this book, you will find updated information, examples, and case studies as well as an examination of new popular tools such as Infographics, photo-sharing on Pinterest and Instagram. The author provides you expanded information on social media such as YouTube, Twitter, Facebook, and LinkedIn. Read some of these books and take social media marketing advantages in 2019. If you have any comment after reading the books, please provide it below. Also view hot new marketing tools and guides. All gems put in a single basket . Thanks for the list mate !! This is what i was searching for long time and its a really usefull one for a startup kid like me. Good post. I learn something new and challenging on blogs I stumbleupon on a daily basis. It’s always helpful to read through content from other writers and use a little something from other sites. How about Social Media and Mobile Marketing Strategy from Oxford? Very good as tips and content of the site, won more follower congratulations for the website thank you very much !!! I’m not using Facebook and Twitter ,because of my personal causes.My favorite places to socialize are Identica,notCY and Fetlife.I find those more interesting ,because they are not so boring. I enjoy the techniques you supply in the posts.. Opticals Asansol I most certainly will take note of your site as well as consider once again right here consistently. We’re moderately i will find out numerous fresh goods right the following! Have fun for the following! As you know, businesses of all sizes right from McDonald’s and Coca-Cola down to y our local hardware store are trying to get a presence on social media sites such as Facebook and Twitter. Think of how many ‘Fan pages’ and advertisements you have seen on Facebook recently for businesses in your local area. Nice Article. Really loved some books suggested by you guys. Keep Posting.